NEW YORK—Highlighting the beneficial impacts on focus, creativity, and work output, a new report released Friday by New York University’s Department of Psychology found that moving to an isolated seaside cottage greatly increases productivity. 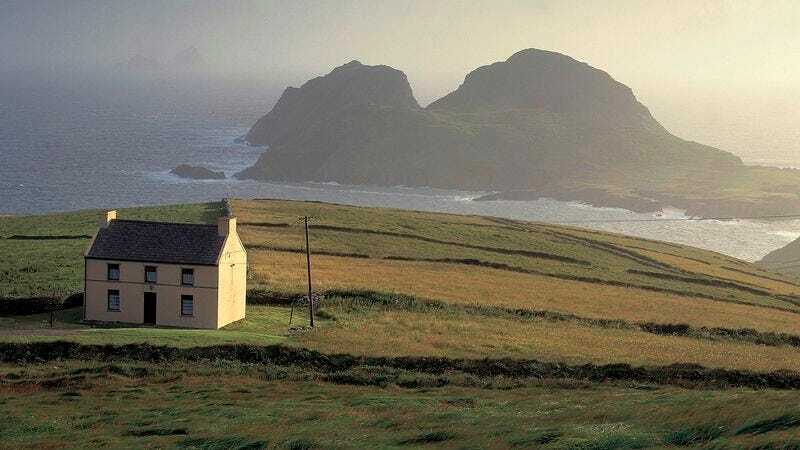 “The data strongly suggests that upending your current life and sequestering yourself in a quaint stone house by the ocean can increase the rate at which you complete tasks by almost 40 percent,” read the report in part, adding that the change of environment was shown to be most effective if the house had a thatched roof or was located on a bluff somewhere in Ireland or Scotland, where work could be done with the sound of the waves crashing against the rocks. “Test subjects accomplished nearly twice as much when they had the salty scent of the ocean in their nostrils as they worked by the light of a single lantern on a warped mahogany desk, far away from any other human. The effect was even greater if the house was furnished with only a horsehair mattress on the floor and a single cast-iron pot for cooking all your meals.” The report ultimately concluded, however, that moving to an isolated seaside cottage boosted productivity only as much as adding an occasional stroll outside to one’s long established routine.